Get the files that you might have deleted mistakenly or changed or even lost. Allow you to preview the items removed from Recycle Bin and recover the ones that you need. 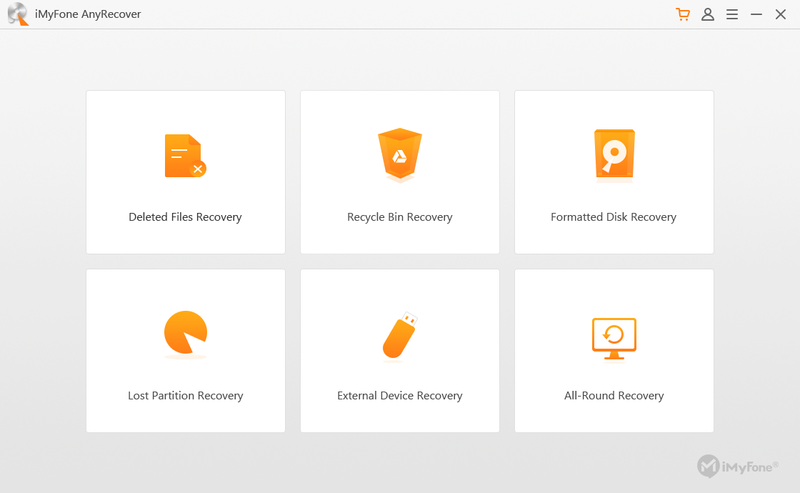 Recover files from formatted local and external drives including hard drives, flash drives, USBs, memory cards, etc. Empower you to recover data from lost partition on both local and external hard drives. Recover your lost files from damaged and faulty hard drives. Recover files that have been targeted and damaged by computer viruses, Trojan horses and malwares. Get your data back from all types of storage mediums including external hard drives, USBs, memory cards, flash drives, etc. Recover files after a serious OS crash or new installation of OS. Recover lost or removed files on every kind of storage medium including memory cards, external and internal hard drives, flash drives, etc. Offer recovery support for over 1000 different formats including pictures, images, videos, documents, audio files, emails, and archives. 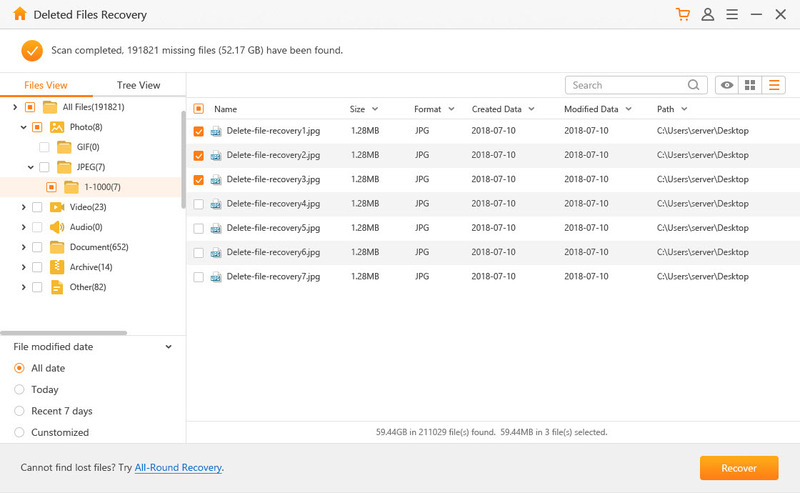 Recover files from critical data loss from all mediums: Digital Cameras, Memory Cards, Camcorders, Mobile Phones, Flash Drives, Hard Drives, etc. Recover the lost files without overwriting any other files, thereby 100% protecting other files from being overwritten. Start the AnyRecover program and choose the mode according to your requirement. 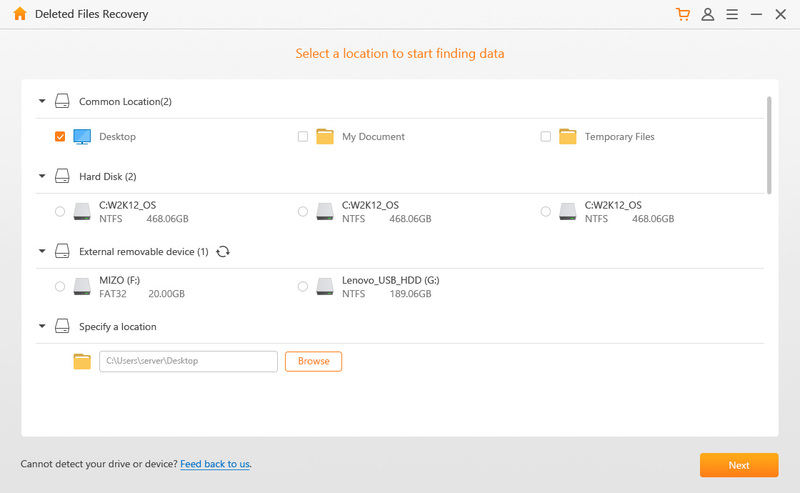 Set the path of data location where you want to find the lost files, and then choose the file types that you want to recover. At last, click the Scan button. Preview the files before recovering and saving them. Choose the exact files that you need and click the Recover button. Saved my day absolutely! The program not only functions very well, but allowed me to save all of my data within a short while! While trying to install a new driver on my operating system, I ended up accidentally deleting several pre-installed ones. But, thanks to this program, I was able to save and recover all of the data that I had lost. This is by far one of the best software recovery tools that I have used and would recommend it to everyone! Although the software could not retrieve all of the data I lost but I think getting 10 years old data recovered was a bit too much to ask from any software. It is definitely worth a try though. AnyRecover helps you recover critical and confidential data that gets deleted accidentally or mistakenly within few minutes. The Only Data Recovery Software That You Will Ever Need!